The weather was atrocious yesterday, making it the perfect day for the first sowing session of the year. To mark the occasion we had a Sowing Bee at The Farm. Although owner of a mysterious box of half empty seed packets Mrs G allegedly hasn’t grown anything from seed before. Perhaps nocturnal sowing somnambulism is the reason that the courgette packet was empty, perhaps Mr G has a secret allotment garden full of monster leeks that we haven’t found yet, perhaps Mr D has been growing celeraic to satisfy Babe “Psycho Chihuahua”‘s lust for nobbly vegetables. Whatever the reason it was a privilege to show Mrs G just how simple and rewarding growing plants from seed can be. 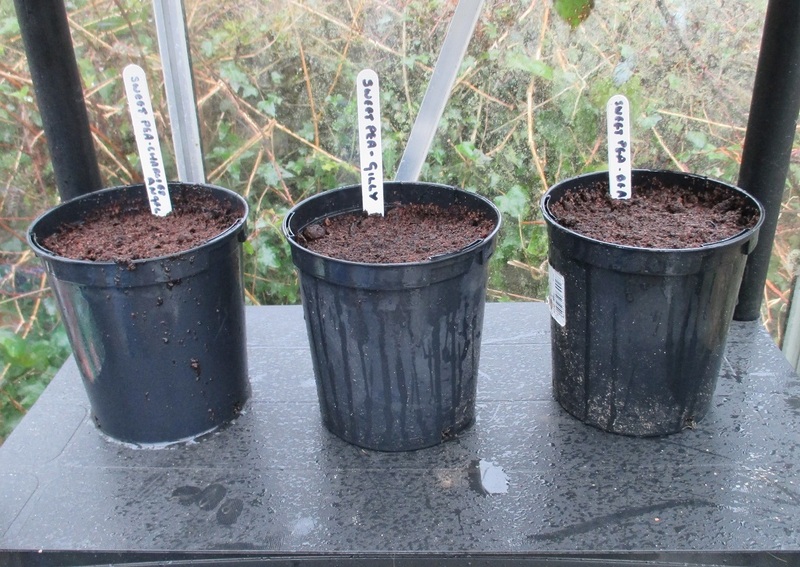 We sowed sweet peas, Californian poppies, french marigolds, Welsh poppies, beetroot and parsnips in modules, sugar snaps, agastache, rudbeckia. Nothing rare, nothing complicated, just good garden-worthy plants. Plants that will fill the site with colour and plants that will taste good. Plants that will win the Village Show. Sorry did I say that out loud? Haha, yes you did, I wish we had a village show..come to think of it, I remember your entry last year! Oh dear, it would be good fun, wouldn’t it? Best activity for a bad weather day! I know what I will be doing with a wet weather forecast, you have spurred me in to action – well, hopefully, I will take your list out to the shed with me and see what I have managed by this time tomorrow.